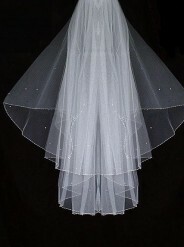 Available in Ivory and White colors and all kind of length at affordable prices. 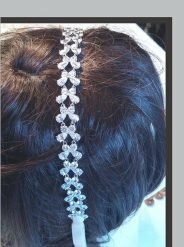 Wedding tiaras are worn on top of the head. 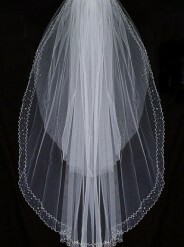 Aside from the veil, a bridal tiara adds a touch of glamour and elegance to the whole bridal look. 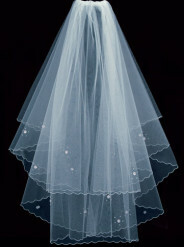 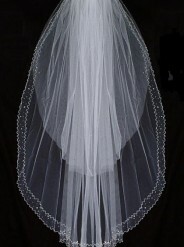 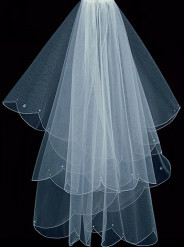 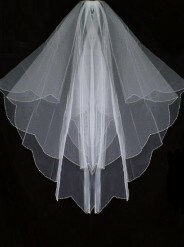 You can wear a bridal tiara along with a traditional or with a contemporary looking wedding veil. 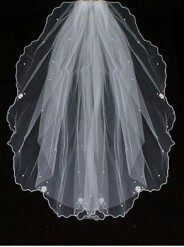 As a matter of fact, bridal tiaras and veils often go hand in hand in providing that much needed head adornment.